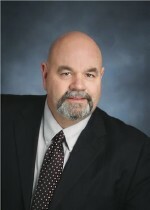 Randy Martin has recently joined the Roberts Homes and Real Estate team! As I start my fourth year as a Fond du Lac realtor, I would like to thank those who have utilized my services during the past three years! I would also encourage you to contact me for your future real estate needs. Additionally, I will always have time for your referrals! My wife Jan and I have lived in and around Fond du Lac since 1994. I stay active serving at Trinity Baptist Church in the music and sound ministry, in two musical groups, City Lights Barbershop Quartet and Praise FourMation for the purpose of ministry and raising funds for charity, marriage mentoring through HomeBuilders and Family Life ministries, the Fond du Lac Exchange Club,and family. I enjoy golf and travel, sports and investing. Jan and I have four married sons and 16 grandchildren! This sage advice has driven me for over 37 years of serving customers. It allows me to provide the type of customer service I expect when I purchase a service or trade! It is my goal to make your next real estate experience enjoyable, not just another transaction! Roger Staubach once stated, "There is no traffic jam along the extra mile"! Give me a chance to make your dreams a reality! We were amazed by the service from Debra Heller. Having purchased three other homes in the past, it was refreshing to have such a competent friendly realtor in Debra. She made us feel at ease and modified which listings we saw based on our previous thoughts. Her no-nonsense negotiation meant our offer process was stress free and we were so excited to shake her hand on closing day!